Add this small volume to your golf bag for easy reference. Makes a great gift for your golf league, or golf partners. These are easy drills you can set up on any putting green, or in your backyard if you’ve got the space. Most drills you can practice alone, but there are a couple that you can use with your golfing buddies for some cool competition. Putting can be fun! Practicing these easy drills will make you a winner! Golf is a serious game, but it should also be a lot of fun! Golf Games features dozens of golf games you can play the next time you and your buddies hit the links. Want to wager a little $$$ while you play? Golf Games includes a full description of the most popular golf betting games and side bets as well as tournament formats for corporate and charity tournament events. 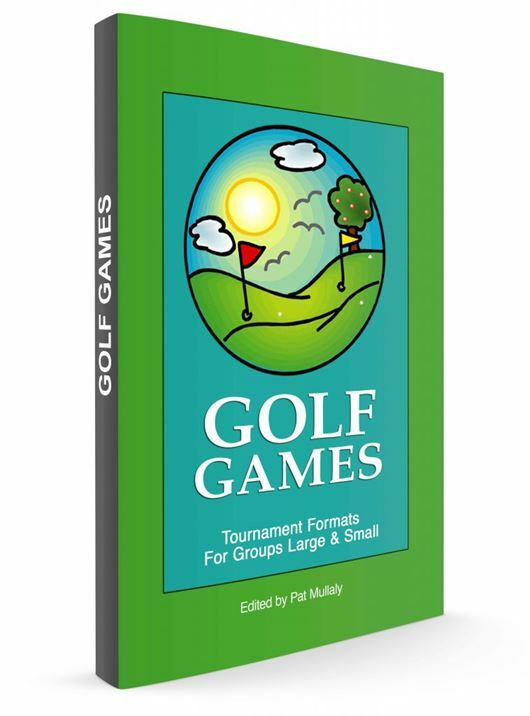 Scrambles, Best Ball, Whack & Hack, Skins, Foursomes, Greensomes, Gruesomes, Chicago, Naussau are just a few of the golf game formats described. Now available online.